A man at a bar became so drunk that he fell right off his stool and vomited all over his shirt. The drunk smiled, had another drink, tipped the wise bartender, and left for home. The drunk's wife met him at the door and saw his soiled shirt. “You were at the bar again…” she yelled out. “That’s because he also pooped my pants,” the drunk said. 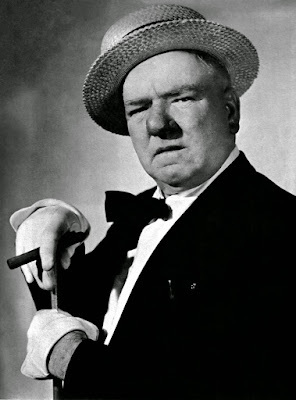 Note: The above photo is one of my favorite comics, W. C. Fields..